Reclaim your work/life balance and experience the good life in this discreetly situated home on a quiet street. 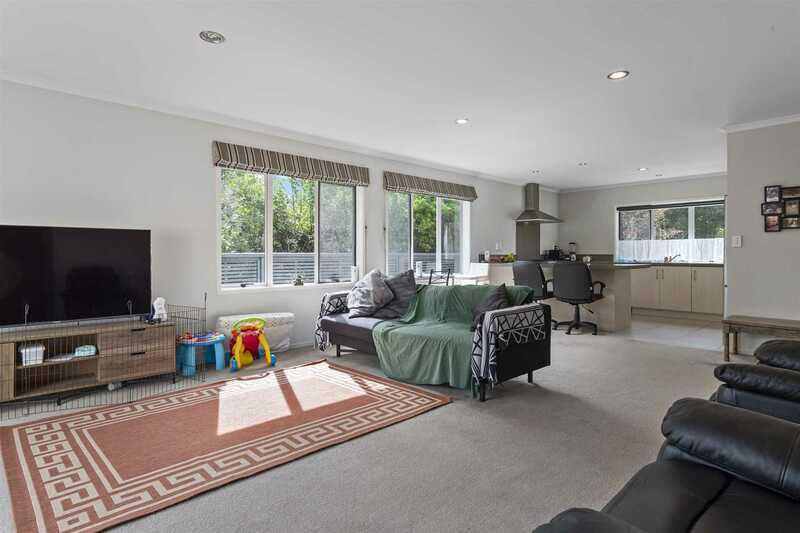 Appealing to first home buyers or investors looking for an attractive rental property, the flat, sunny aspect and convenience to the Lakes walkways and Ngakumama Reserve playground is a real family lifestyle boon. A generous layout with marvellous flow to the outdoors features doors opening from spacious living areas - ideal for entertaining and socialising. Prepare meals in your smart modern kitchen and keep an eye on the kids playing in the safe and secure back yard. Four bedrooms include a master with ensuite and a second bathroom with separate shower and tub. A wide driveway leads smoothly to a double garage with internal access and there's off street parking for extras. Zoned for Tauriko Primary and Tauranga Girls' and Boys' Colleges and if you need to commute for work into the city, a regular cross town bus service is close by. The thriving Tauriko retail mecca is a few minutes away for shopping and all the necessary services.